If rent is a trap, finance is the key to unlock it. As cheesy as it sounds, good finance sets you free. It lets you out of the rental you’ve never really loved or the family home you’ve outgrown, and it opens the doors to a place of your own. The team at Lets Finance, our in-house loan people, understand the difference the right loan can make to your life, so their mission is to find you the best terms, fastest turnarounds and smoothest process possible. Getting your first home means getting your first home loan. And while the idea of the new house makes you want to jump on the bed, the idea of borrowing several hundred thousand dollars makes you want to hide under it. That’s normal. In fact it’s good to be a little wary because there are a lot of second rate first homebuyer loans out there. The team at Lets Finance, our in-house finance folks, are here to make sure you enjoy the best possible loan, and the nicest possible process. They look at hundreds of products from dozens of lenders, so they can find the one that makes the path to your first home a little smoother, fairer and faster. First Home Owners Grant? Stamp duty concessions? Lets Finance will tell you if you qualify and help you get your hands on them. How much will they charge you? Absolutely. Nothing. Lets Finance take their commission from lenders – not borrowers. While we do all we can to make first homes more accessible, today’s first homebuyers need all the help they can get. That’s why the State Government offers the First Home Owner Grant. It’s a one-off payment of up to $10,000 designed to put more people into new homes. And no, you don’t have to pay it back, so it’s well worth getting your hands on. At Lets Finance, we’ll help you work out whether you’ll qualify, and even complete the application for you. In a word, yes. Lenders like to see that you can afford the repayments on your loan so they ask for a deposit. That deposit can be a combination of genuine savings, funds in your bank account, and money that’s been gifted to you. The size of your savings differs from lender to lender, but you can expect to somewhere between 1% and 5%. So on a $350,000 home and land package, that would be anywhere between $3500 and $17,500. To get a better idea, sit down and chat with Lets Finance about the best loan for you. If you’ve found it difficult save a deposit in the past, then a zero deposit home loan may be the best path to your new home. Keystart Home Loans was created by the Western Australian Government to help people into homes with no deposit. With a Keystart Home Loan you don’t need savings (although a fee to the land developer and preliminary payment to the builder is likely needed) - the rest can come from your First Home Owner Grant. You need to tick a few boxes to qualify, but don’t worry, Lets Finance will let you know if you qualify and step you through the application process. 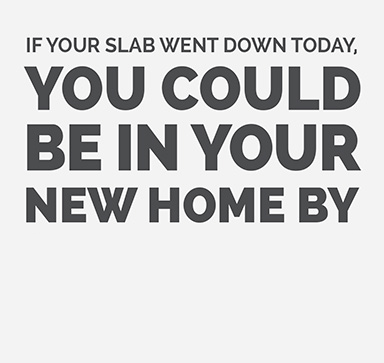 SIMPLY CALL (08) 6500 1039 OR COMPLETE THE FORM BELOW AND ONE OF OUR HOME AND LAND SPECIALISTS WILL GET BACK TO YOU. WE WORK CLOSELY WITH LETS FINANCE. LETS FINANCE HAVE OVER 8 YEARS EXPERIENCE, EXCLUSIVE ACCESS TO LOAN PRODUCTS AND THE ABILITY TO UNLOCK THE FIRST HOME OWNERS GRANT. BY PROVIDING YOUR EMAIL ADDRESS YOU ARE CONSENTING TO RECEIVE MARKETING COMMUNICATIONS FROM B1 HOMES IN FUTURE, ON THE UNDERSTANDING THAT YOU HAVE READ AND AGREE TO OUR PRIVACY AND DATA COLLECTION STATEMENT AND THAT YOU CAN OPT-OUT AT ANY TIME.